Shipping world wide from our NZ warehouse. SOLD OUT in our EU and US warehouses. 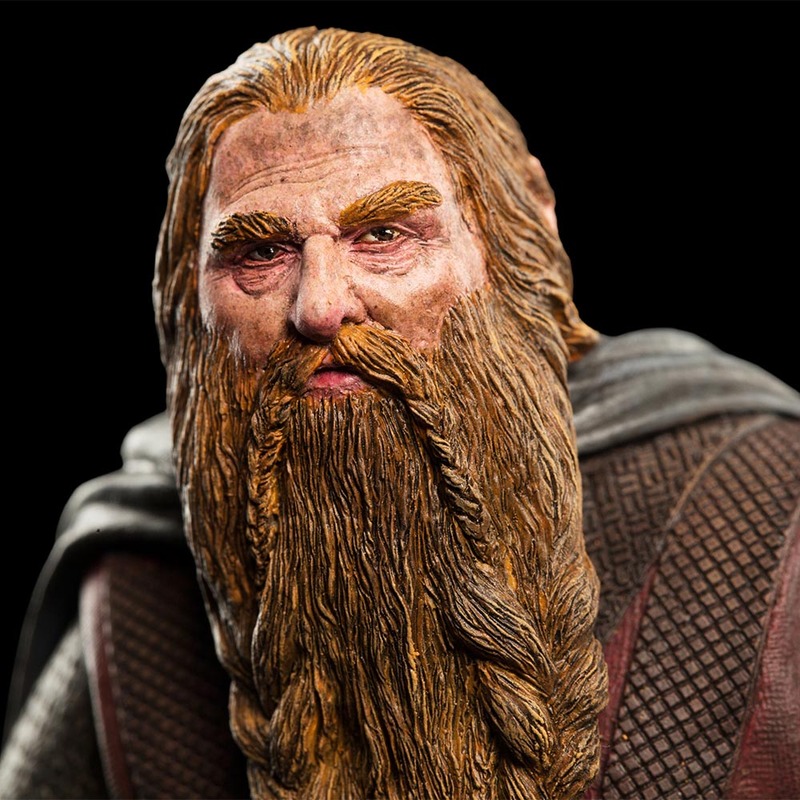 Facing an army of Uruk-hai warriors many times more numerous than their own meagre force, the Dwarf Gimli and his companions, Legolas the Elf and Aragorn of the Dunedain, were nonetheless unwavering in their bravery. The stone walls and wooden gate of Helm’s Deep were all that lay between the defenders and ten thousand bloodthirsty Uruk-hai, intent on smashing their way inside, but these would not hold for long. For the Elf and Dwarf, a little competition proved a welcome diversion from contemplating the impossible odds against which they were set. 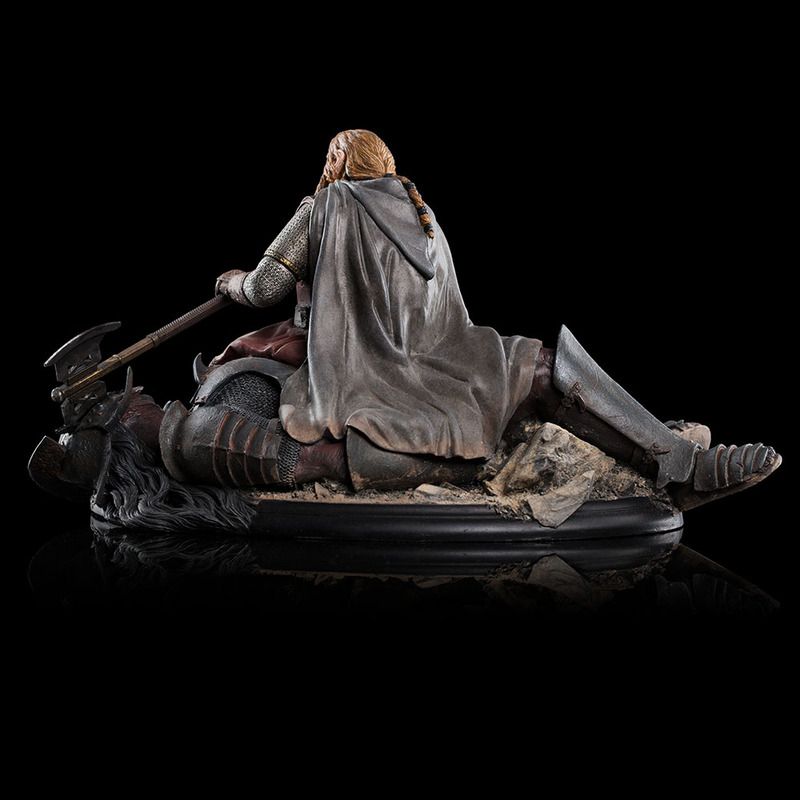 Legolas armed with his knives and bow, and Gimli with his axes, each sought to outdo his friend in the slaying of the innumerable warriors that hurled themselves against the Deep’s defences. To their shared surprise, the friends not only survived the night-long battle, but triumphed, thanks to the timely arrival of Gandalf and Éomer’s riders. 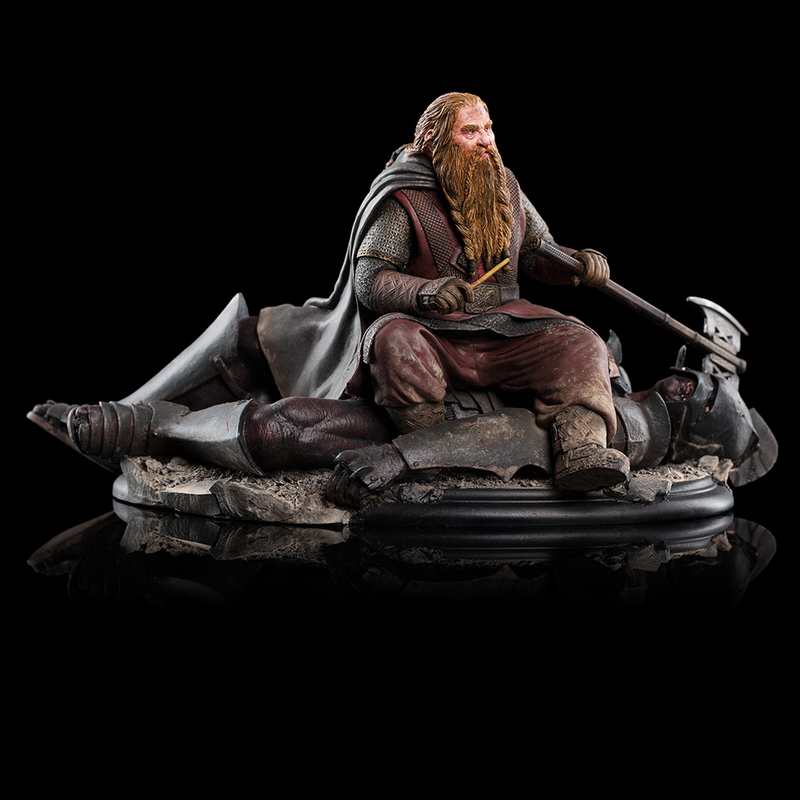 Morning found Gimli sitting atop a dead enemy, smugly puffing on his pipe, when Legolas approached to boast of his final tally: 42 Uruk-hai. 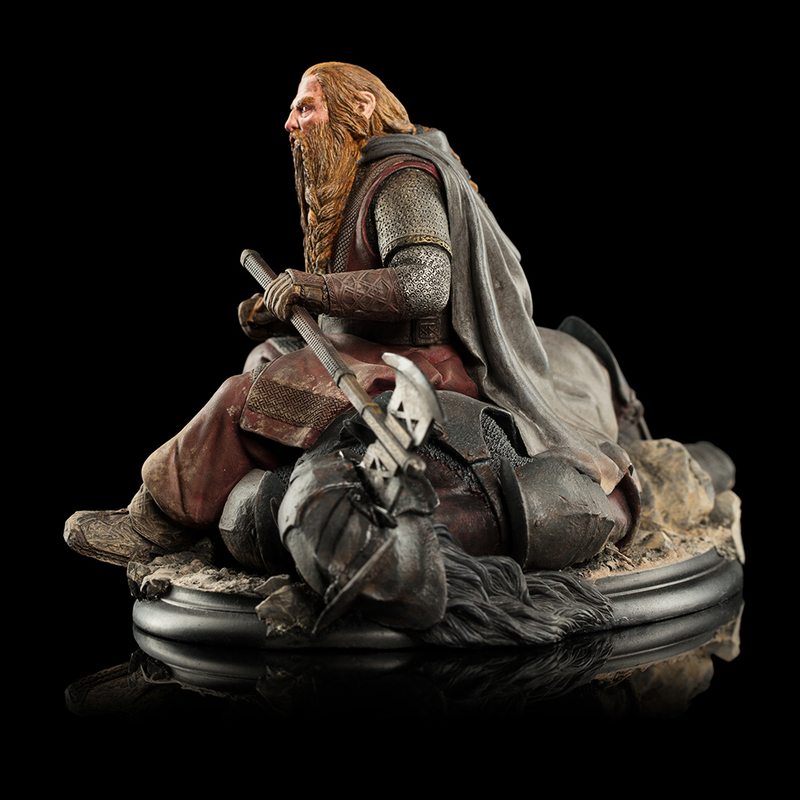 "That’s not bad for a pointy-eared Elvish princeling," Gimli remarked. He himself was sitting pretty on number 43, though Legolas was quick to even the score. 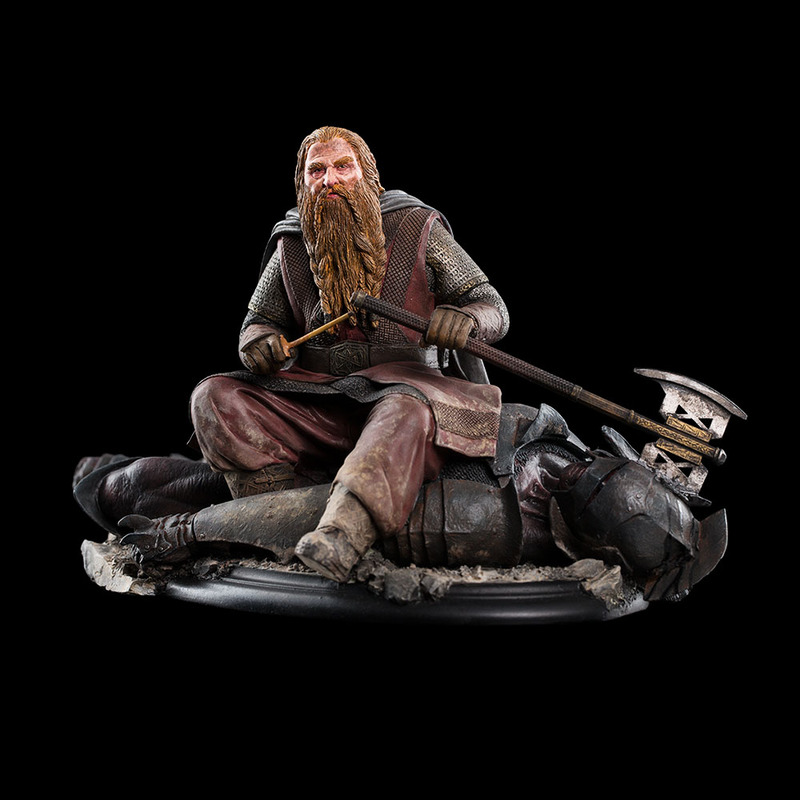 Expertly sculpted by Brigitte Wuest, lead sculptor on The Lord of the Rings trilogy, Gimli the Dwarf on '43' will make a fine addition to your Weta Workshop miniatures collection.